T he superstar among the leaning towers of the world is clearly the Leaning Tower of Pisa. 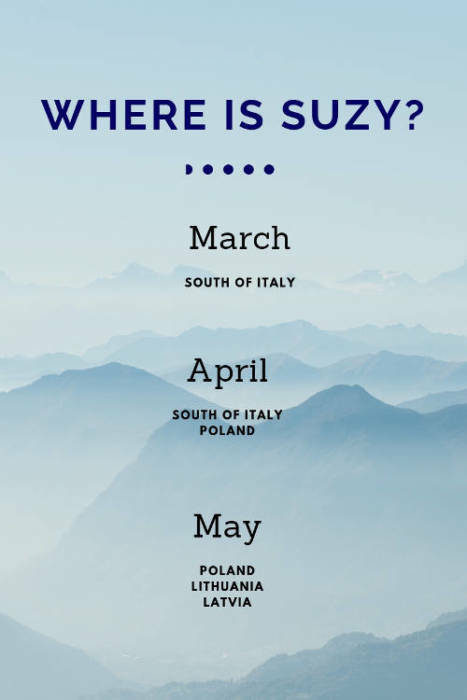 Located in the town of the same name in Italy, it attracts millions of tourists every year, making it one of Italy’s main attractions. Besides Venice, of course, which is also the focus of tourists. But did you know that the Leaning Tower of Pisa is just ONE building in a complex of many monumental buildings? 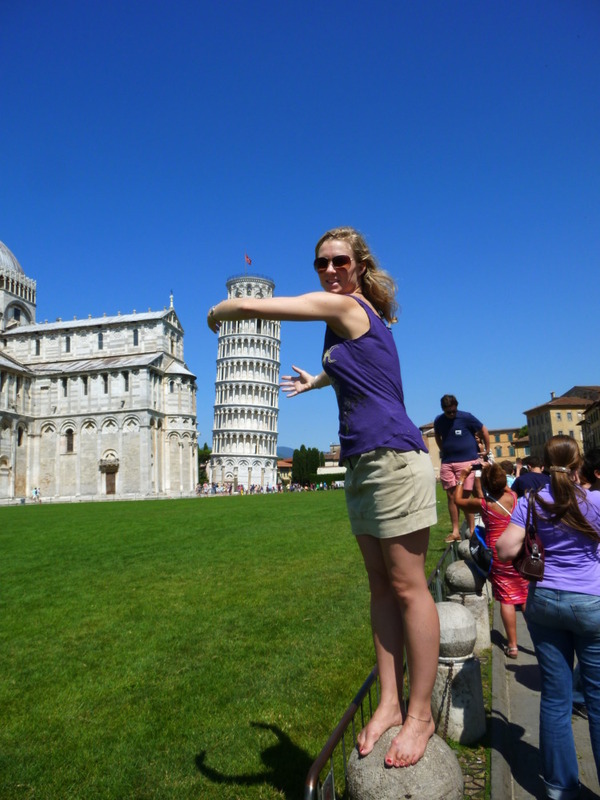 I keep reading about the Leaning Tower of Pisa and how enthusiastic people are about it. Instagram and Facebook are paved with pictures of people, who seem to lick, lean against or climb up the tower. All of this, of course, from the photographically correct angle. It’s funny, though. When I was on my way there myself, I did not expect much, to be honest. 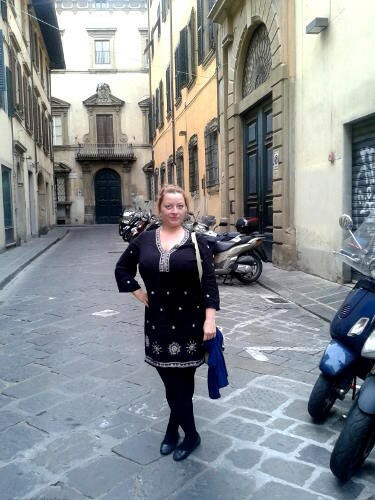 I was not keen on masses of tourists who swarm around an (ok, impressive) leaning tower, lonely on wide corridors. It was something like that, but not really, because the situation is much more diverse than expected! That is why it is important to me to write this article and to draw attention to all the other wonderful buildings that surround the tower. 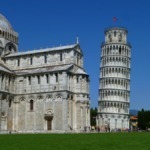 To find Piazza dei Miracoli, the place where the tower stands, you only need to follow the signs, coaches or tourists. All roads lead to Rome … uh…to the tower. 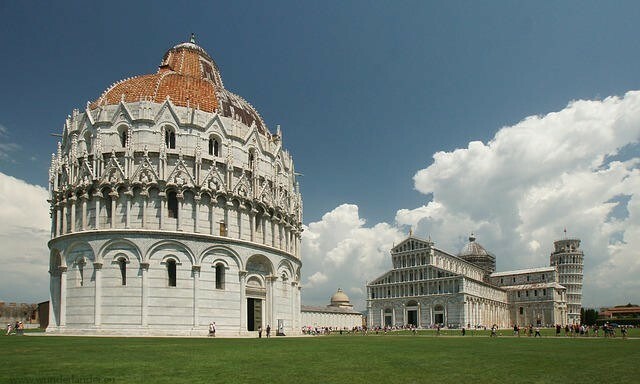 The entire complex around the tower in Pisa belongs to the archdiocese of Pisa, to the Roman Catholic Church. It built the cathedral, beginning in 1063, in an innovative, cross-shaped floor plan, with a total construction period of 200 years. Later also the tower of Pisa, which is actually only an accessory to this imposing cathedral. An impressive round tower made of marble was planned, also a novelty for that time and later a model for other towers in Siena and Florence . The architects, among them the sculptor Bonanno Pisano, planned the bell tower of Pisa with a total height of 100 metres and construction began on 9 August 1173. It should also serve as a refuge for church representatives in an emergency. Why is the Tower of Pisa leaning at all? In those days, construction work on large buildings took much longer than today. By contrast, the embarrassing delays around the construction of Berlin’s new Schoenefeld Airport are a no-brainer. After a hefty 12 years of construction, the third floor was completed and it was noticeable for the first time that the tower was gradually leaning south-east. Today the reason for the incline of the Leaning Tower of Pisa is known: In ancient times, the area in which the entire complex is located was still an island directly situated by the Mediterranean Sea. Pisa was a sea power at that time and later in the Middle Ages in constant power struggle with the Venetians. More and more building land was created by progressive siltation. The square Piazza dei Miracoli is located on this square, and the tower even stands directly on the shore of the former sea. For this reason, however, the foundation under the weight of the 14,000-ton tower is also gradually weakening. The soil conditions of clay and sand were not considered by the architects of that time. This is a construction error according to today’s standards. I guess back then also. 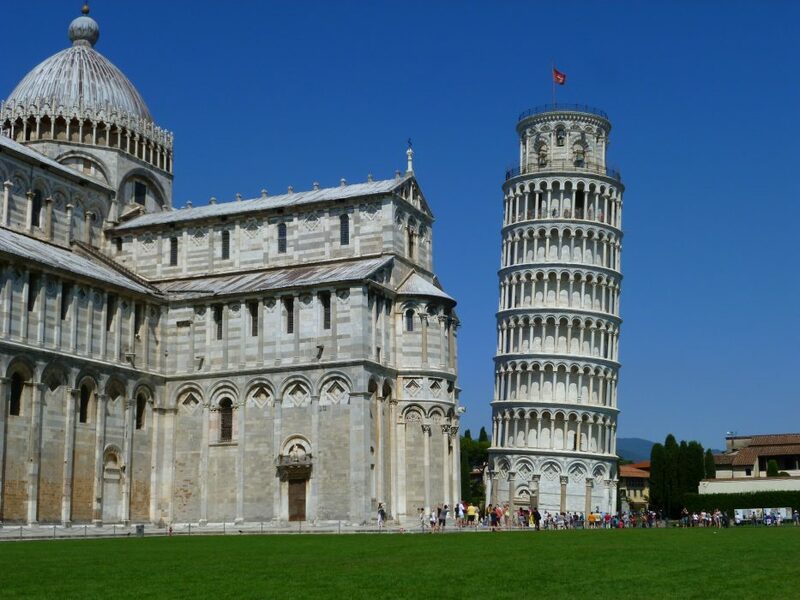 Have you ever asked yourselves: When does the Leaning Tower of Pisa actually fall? Personally, I also wonder quietly: What does Pisa do when that happens? 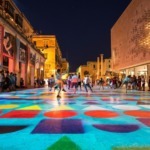 There is not much else there and virtually the entire economy, even in the immediate surroundings, is designed for mass tourism. Well, besides the university, whose students make up about 40,000 and half the population of Pisa. Will we then see the tower with a huge crutch in the shape of a scaffold to prevent it from falling? That would be fun to watch. No, the tower won´t fall. The tower had its greatest inclination so far at 5 degrees in 1993, which is problematic for a building. 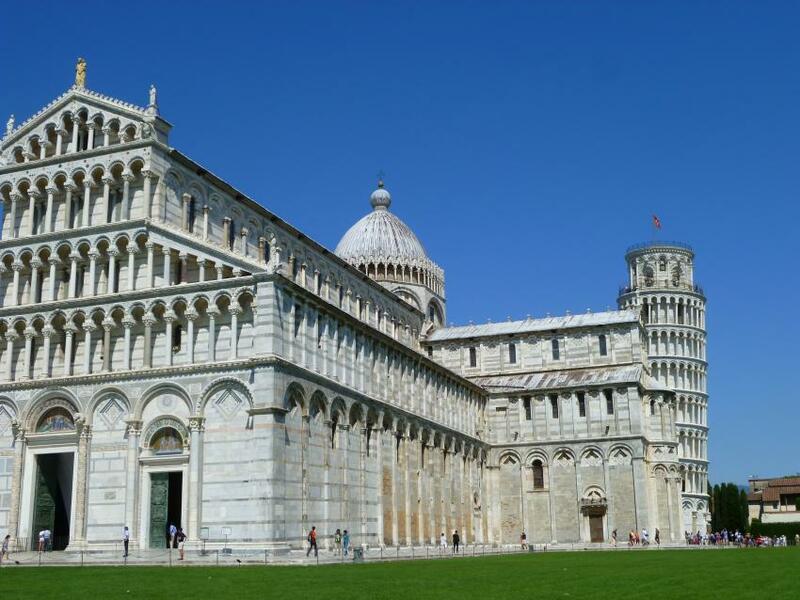 A worldwide call was made, asking statisticians to work out a solution to stabilize the famous Tower of Pisa. 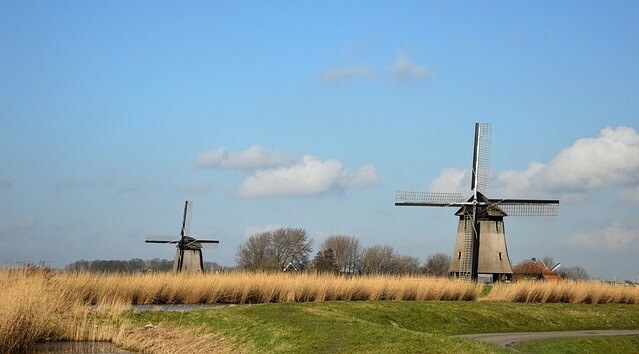 Initially, lead weights of 850 tons stabilized the foundation on the opposite side of the incliniation, then a system was developed with which loamy soil is repeatedly exposed in continuous “maintenance”, thus minimizing the inclination. The tower will probably remain care-intensive forever. We see: it will probably not happen that the militant little tower of Pisa simply falls over. A team of scientists now discovered the secret behind the tower’s strong-hold. The tower’s survival seems to be a result of a process they call “Dynamic soil-structure interaction (DSSI)”. In accordance with this theory, the height and rigidity of the Tower itself, coupled with softness of the soil in which it has its foundations, has meant it does not vibrate in the same way as everything around it does as a result of earthquakes. So basically the same thing that makes the tower lean (soft soil), lets it survive seismic events and prevents it from falling. 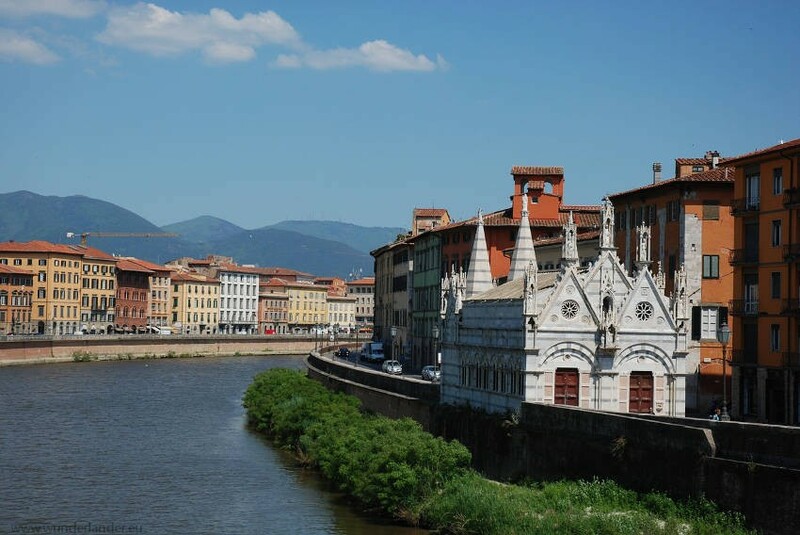 First of all, the old town of Pisa is a really tiny, nice place. A few streets, many restaurants and horse-drawn carriages. Outside, the village has grown and expanded to include single-family houses with land and highways. A day trip here is enough. In a few hours, you’ve seen everything. From the rather narrow entry road you unexpectedly come to the large square, which ends on a large meadow and is surrounded by the old city wall. When the 7 bells of the tower ring daily at 12 noon, the crowds are at their highest, also at the small souvenir flea market at the edge of the area, in the shadow of the city wall. This wall encloses almost the entire area and is interrupted by small passages. You have to see the impressive Cathedral next to the tower! From the outside incredibly fine marble ornaments and inside impressively large with a wonderfully painted dome. The cathedral was built in the Middle Ages and although it was actually built in honour of Santa Maria Assunta, its original name was Santa Maria Maggiore. Its current appearance is due to repeated restorations and changes, also on the outer façade. This construction work took place in various eras, the most significant change being probably after a devastating fire in 1595, during which the entire roof had to be rebuilt. Opening hours: In the summer the cemetery is open daily from 8 am to 7.30 pm, in spring and autumn from 9 am to 5.30 pm and in winter from 9 am to 4.30 pm. The accompanying cemetery Camposanto is small, but surrounded by spacious walkways and a wall. In the corridors with semicircular windows and old stone floors it is cool and shady. One hardly dares to speak in this silence, in which every word echoes. If you are looking for silence and an escape from the masses of tourists, this is the place for you. Since 1987, the entire complex of tower, cathedral, baptistery and cemetery has been a UNESCO World Heritage Site. Opposite the cathedral stands the Baptistery, begun in 1152 and finished with Gothic elements in the 14th century. It was built on the model of the Anastasis rotunda of the Holy Sepulchre in Jerusalem. It houses a baptismal font and is the largest baptistry in Christian history. Because of the cylindrical construction, a very special acoustics can be found inside the rotunda. If you are lucky, one of the guardians will tune a song or individual tones, which will become a real sound experience due to the special echo behaviour of the architecture. You can find ticket on many different pages of different companies. Depending on where you come from, a ticket to the monuments can already be included in the price you pay for the whole trip to the leaning tower of Pisa. Tickets can be bought up to 20 days upfront the visit, as there is only a certain amount of visitors allowed at the tower at the same time. There are no reduced tickets for the tower. Some companies sell at a higher price and make a revenue out of it. I cannot list them all here, so I give you an idea about the real round about pricing. You can then decide yourself, if an offer from a third party travel company is expensive. Normally a ticket to the leaning tower costs 18,00€. There are no reduced tickets for the tower. Who takes care of the leaning tower of Pisa? Those who have always wondered how the famous licking and hugging pictures are taken with the tower, which circulate the internet a thousand times over: The meadows are lined with stone pedestals, on which you stand and then pose in the right angle with the tower. In the evening, when the coaches have left, the tourist flea market closed and the day tourists tired, you can really enjoy the whole charm of this complex. Get a bottle of wine from one of the surrounding bars or supermarkets, sit on the benches or stone pedestals in twilight and enjoy the view. Unfortunately, the complex is not illuminated at night but the snow-white marble still gives an idea of the constructions. Wonderful ! By the way: Famous sons of the city are Galileo Galilei and Fibonacci. Enjoy your trip to Pisa in Italy. Previous Post: Thoughts about home – what is this? The facts that you put in here are really interesting to read. I would love to visit Italy and take a picture at the tower of pisa. Its one of the places I have in my bucket list. Its awesome to read about the history of it and why it is actually leaning. Have always been fascinated by the leaning tower, but thanks for pointing out other areas of interest around. I have heard that the town itself is not that exciting. Would you agree? I thought it was interesting and exciting that you included something else by the leaning tower of pisa, but I’m not much for tourist traps anyway. So it was nice to have something refreshing about this site that makes me actually want to explore and go now. Amen to giving the tower a rest and exploring what’s around it! So much hidden beauty in Pisa outside of the tower. Great post! Hmm.. I have never been! So interesting getting your take on it! We didn’t even bother stopping here when we went to Italy. It seems like it’s basically a photo op. Nice to hear about the other buildings.